This entry was posted on June 29, 2013. Bookmark the permalink. A new book, with a totally different and refreshing approach to the valuation field (142 examples that are excerpts from real world appraisals) is now available. This 478-page (trim size 8.5 in. x 11 in.) text book shows examples covering each of the standard sections of a narrative appraisal report. The bulk of the examples are from the valuation approaches. 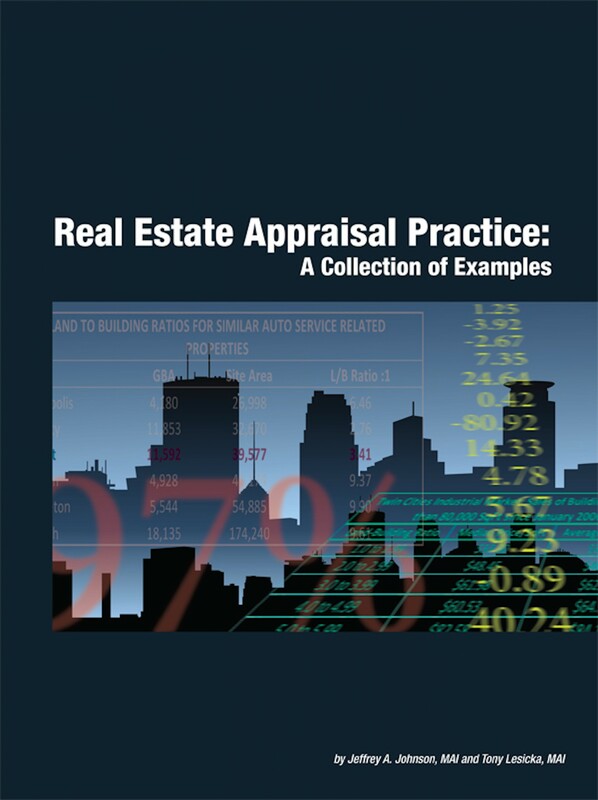 This new concept text book gives examples of how real appraisers are handling unique appraisal problems, how they are supporting their comparative adjustments and how they are presenting their value conclusions. The book is available at www.appraisalpracticebook.com where you can view the entire index of examples. In putting together this text, the authors have really accomplished several things. First, is allowing direct access to examples of how real world appraisers are solving unique appraisal problems. This type of information is not something most appraisers typically have access to, unless they work for a very large appraisal office, or otherwise have close relationships with several seasoned veteran appraisers. Second, most of the appraisal publications in existence today focus on theory, which is important. However, this book is meant to be a practical, useful reference guide that you can implement immediately and directly into your practice. Third, as hot a topic that Peer Review is these days, this book provides a direct sampling of what can be called commonly accepted methodologies. Is there really only one way to handle a particular unique appraisal challenge? In fact, several of the unique appraisal challenges discussed in this book have two or even three examples showing different approaches to the same issue. On this specific topic, this book will also advance a current goal of the Appraisal Practice Board of the Appraisal Foundation, to evaluate recognized appraisal methods and techniques. Lastly, as the appraisal profession as a whole continues to age, and questions abound about whether or not appraisers are replenishing their ranks, this book (and subsequent volumes) will preserve the practical body of knowledge used so that it won’t be lost. Give this new text a look by accessing their web site www.appraisalpracticebook.com where you can review the full table of contents/index of examples of this fresh new concept text.